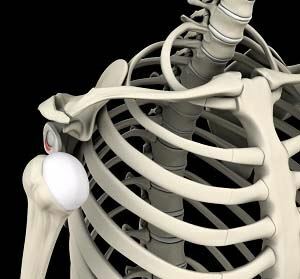 The shoulder labrum is a fibrocartilaginous tissue that surrounds the shoulder socket. It keeps the upper end of your arm within the shoulder socket. A tear in the labrum may occur because of injury or as part of the aging process. This could result in shoulder instability and possible shoulder dislocation. Treatment would depend on the severity of the labral tear and would range from conservative treatments such as activity modification and physical therapy to invasive procedures such as arthroscopic repair.